76 ft. On the Beach...entertain in style where indoor & outdoor living feels like every day's a vacation. In boasts cooks kitchen, stainless/granite, Wolf 6 burner stove, wine cooler, Sub Zero, master view suite w/fireplace, view guest room, loft bunk, view den, boat garage & shop too. Out boasts remarkable covered stone & Trex courtyard w/Italian pizza oven, stone fireplace, built-in bbq & fridge etc. 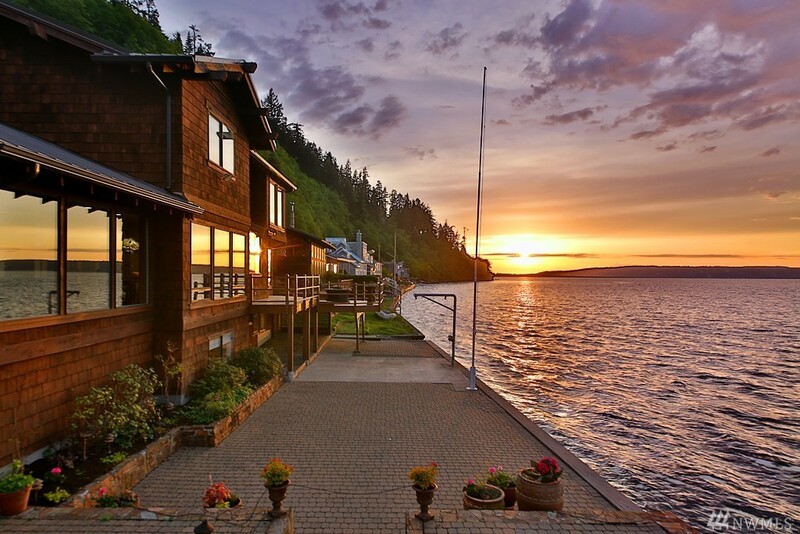 Waterside sports, fire-pit, davit boat/launch, whales breaching + sunrises & sunsets galore!